Monday 28 May. 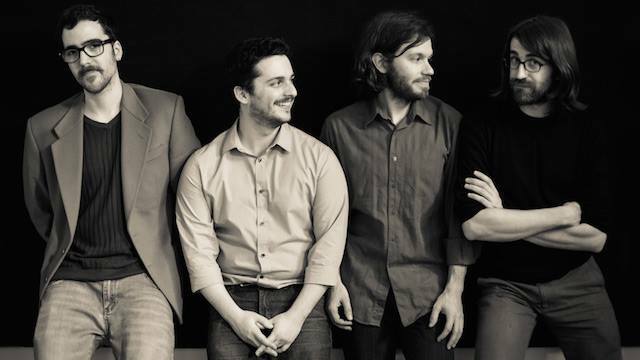 Italian Jazz quartet DuGong. 8pm. Saturday 26 May. Dragons & Orangutans with Clive Pig. 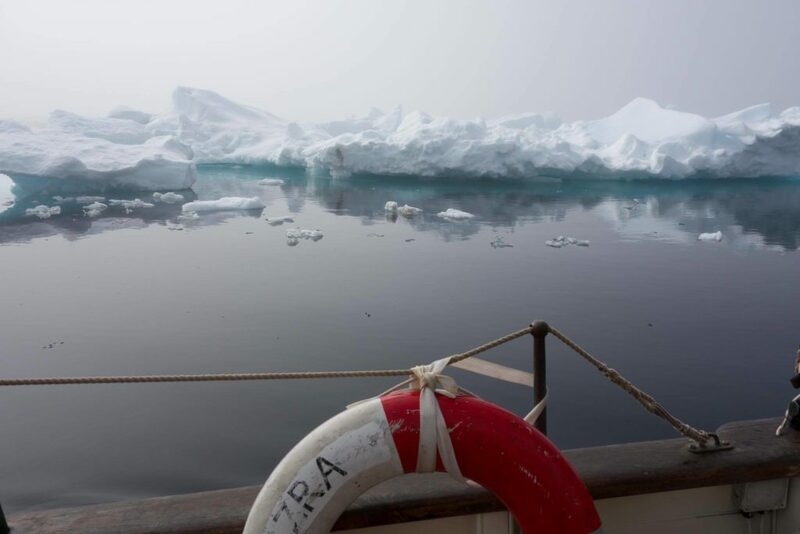 Tall tales and true from recent adventures in China and Malaysia. Admission FREE. 11am – 12noon. Suitable for ages 5 – 5555. Friday 25 May. Platform Cinema presents the all-time classic movie, Withnail & I, on the big screen in the main hall. Doors 7pm. Film 7.30. Bar & snacks. Sunday 3 June. Jazz with Misbehavin’, a great quartet featuring singer Helen Porter. 8pm. Saturday 16 June. JIM Journeys in Music. An evening for people who simply love to move to music. 6pm – 8pm. Thursday 21 June. Jazz from Mike & Kate Westbrook’s GRANITE. 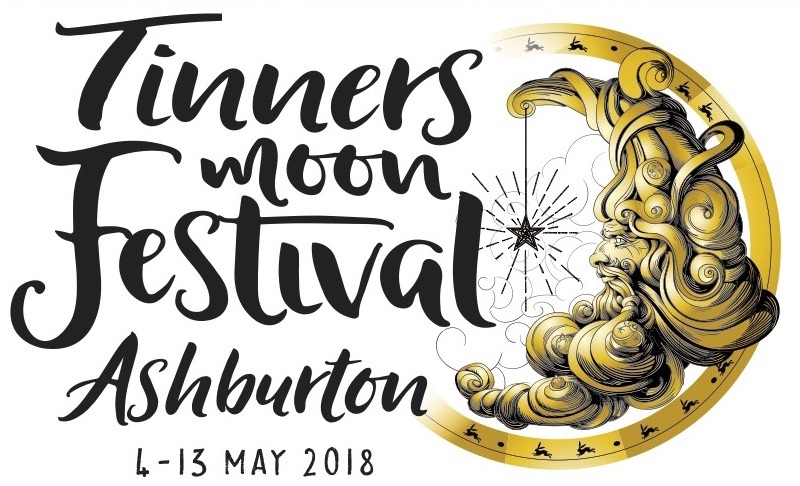 This is part of the Dartmoor Resonance Music Festival. Friday 29 June. James Frost Band and Jubilation! Choir, 7pm. 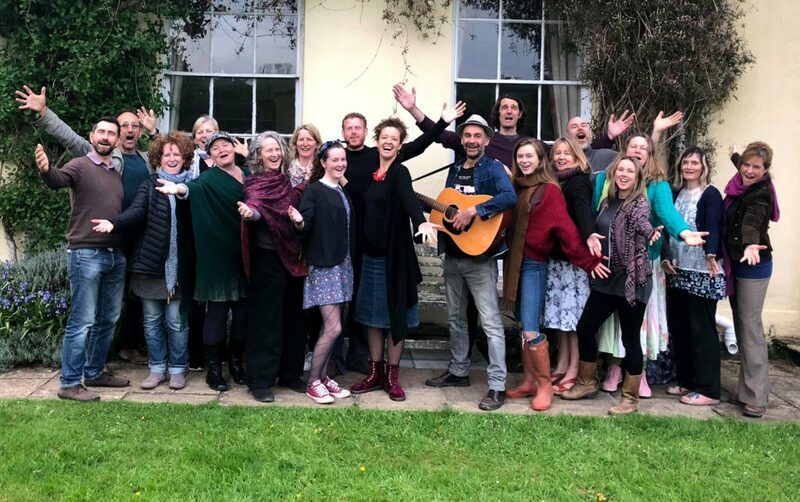 This fabulous Devon-based performance choir has gone from strength to strength under the expert leadership of award-winning songwriter/ director Helen Yeomans. With prestigious festival shows behind them – including an appearance at the Voices Now Festival at London’s Roundhouse in 2017 – this choir is as exciting to watch as to hear. Sunday 15 July. Three Cane Whale. 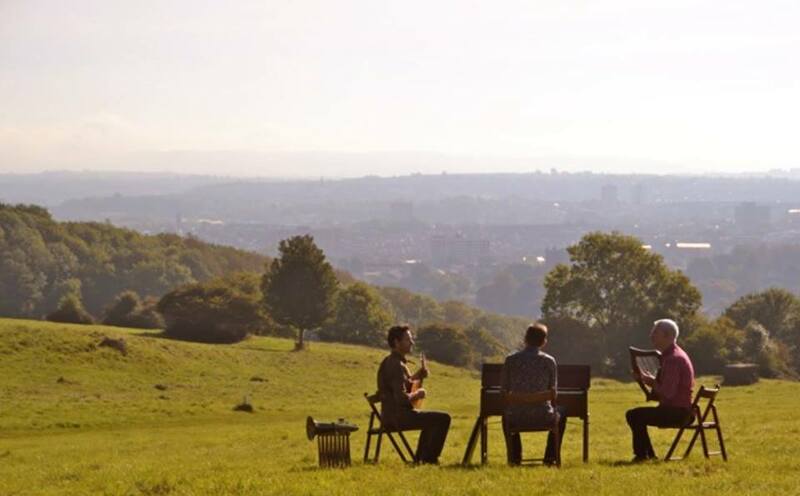 Acoustic improvised music from Bristol, with films (including one of Dartmoor). Tuesday 17 July. Terry Seabrook (British Jazz keyboard legend) & Peter Fraize (visiting US saxophonist), plus band. Wednesday 18 July. Ashburton Arts AGM. Friday 24 August. Corn Potato String Band. Traditional American music, keeping old time fiddle and banjo music alive. Thursday 6 September. Majidah Belly Dancing with Pat Langman (weekly). 6.30pm. Saturday 8 September. Makers Market. 10am – 2pm. Plus The Gathering: music session, all welcome to play, sing, listen. 10am – noon. (2nd and 4th Saturdays of the month). Monday 10 September. Yoga with Chris Willis starts. Various times on Mondays, Wednesdays and Fridays (Weekly). Thursday 13 September. 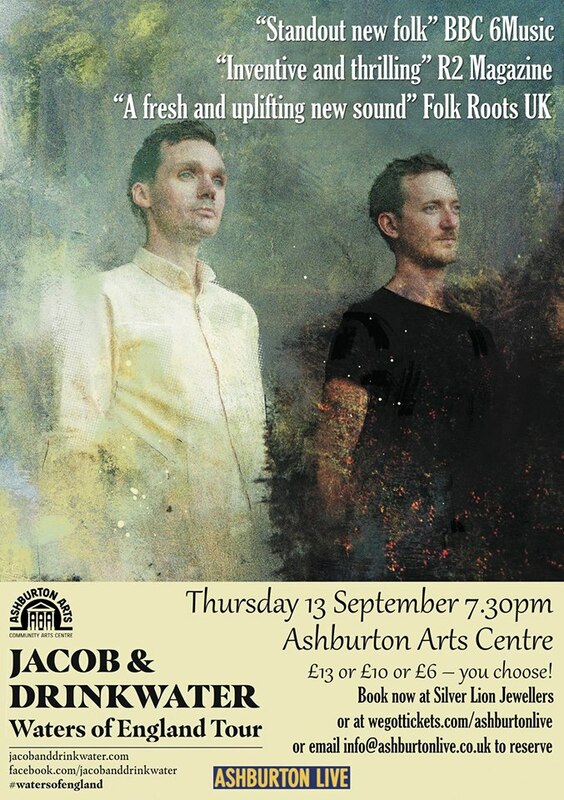 Jacob & Drinkwater “Standout New Folk” (BBC 6Music) “Standout New Folk” (Radio 2 magazine). 7.30pm. Saturday 22 September. Tea Dance, 2pm – 4pm. Hosted by Portreeve Jenny Giles. All welcome. Saturday 22 September. JIM – Journeys In Music. 6 – 8pm. Jackie Lake runs these events. She says, “A monthly movement and dance workshop with no guidance, targets, expectations or judgements.” More information available here. Sunday 23 September. Jonathan Storey, Solo Violin Recital. Works by Bach and Simon Wills. 4pm. Sunday 23 September. Babelfish. Contemporary jazz of the highest quality, with Brigitte Beraha on vocals, Barry Green on piano, Paul Clarvis on drums and Chris Laurence on bass. On the last Friday of each month, this group screens a feature film. Often with food and drink to go with the theme of the film. Sunday 30 September. Natural Causes, Twitcher and Larksong 4pm. This contemporary quartet is releasing settings of poems by Peter Oswald. 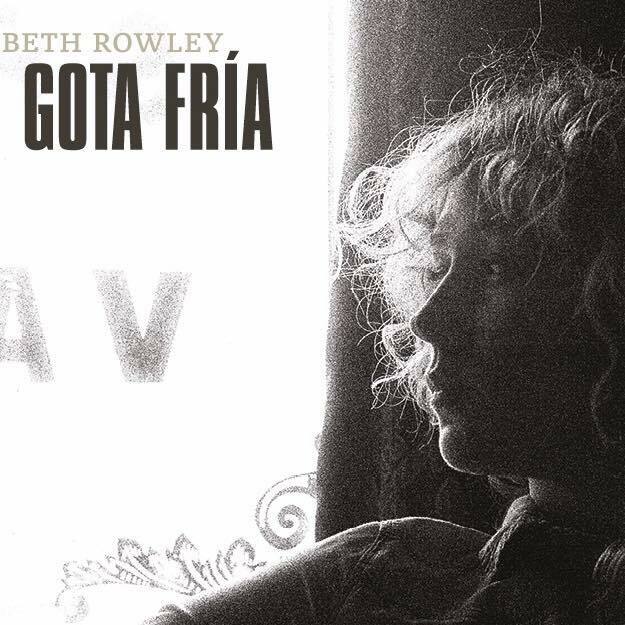 Not really jazz, or folk, or classical – but lovely music. Saturday 6 October. The Arts Centre becomes a Fun Palace thanks to Ashburton Library. It’s all about skill sharing – yours and other people’s, so we can learn from each other in a fun way. More info about this event here and more about this national project on the Fun Palaces website. From 10am. 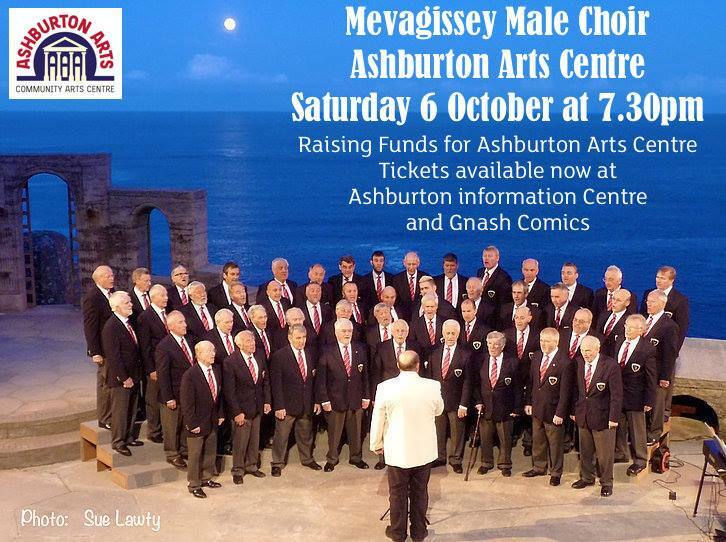 Saturday 6 October: Megavissey Male Choir performing a benefit concert for Ashburton Arts. Sunday 7 October. East Dartmoor Literary Day. Two of the key speakers are Professor Kent Fedorowich (National Advisor for the BBC’s World War 1 at Home Series) & Debbey Clitheroe (Finalist SOE Selection Series BBC 2 2018). A Short Story Competition will be held for 4 age groups 8 to 11, 12to 15, 16 to 18, and over 18. Book fair and an author’s forum. 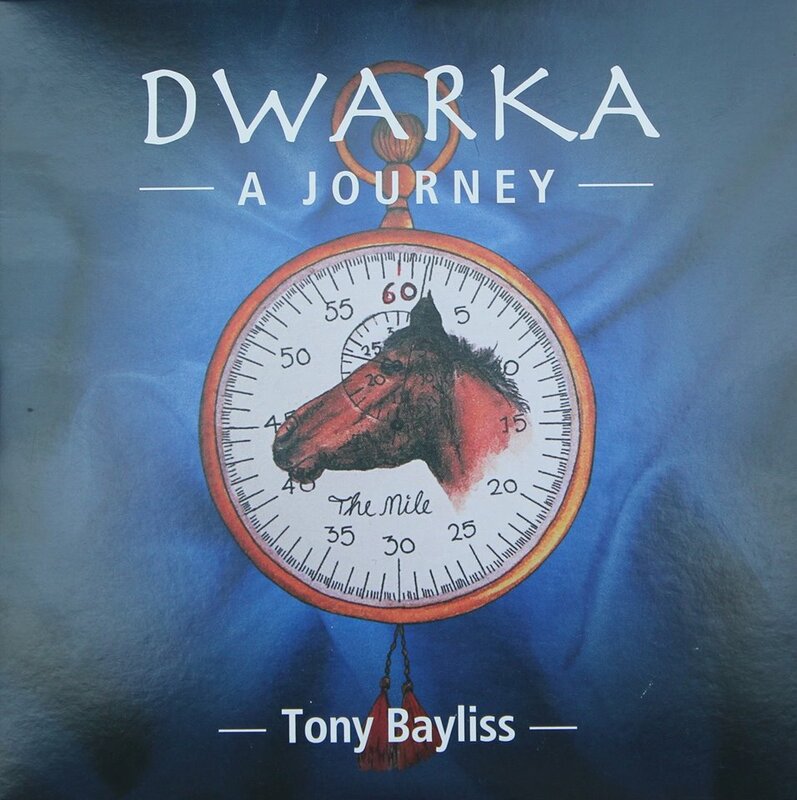 New books from local authors will be launched including Devon War Heroes from WW2 which features the remarkable wartime experiences of Doctor Sandy Mills who was a GP in Ashburton for 27 years from 1947. Sunday 7 October. 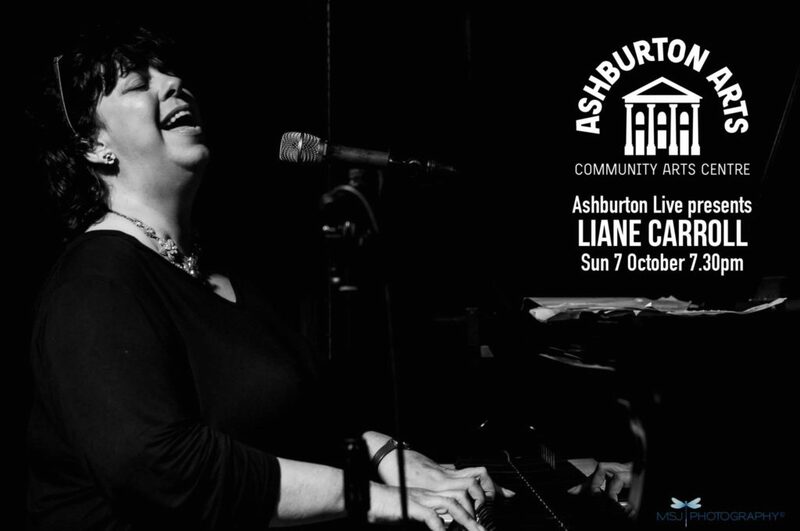 The very wonderful Liane Carroll in concert. 7.30pm. Sunday 14 October. Pete Canter & Peter Tamblyn. Fine jazz saxophonist doubling on upright bass and excellent pianist doubling on cello playing swing, bebop & latin jazz. Pete Canter – saxophone & double bass, Peter Tamblyn – piano. 4pm. Saturday 20 October. Moscow Drug Club. Fantastic musicians who know how to put on a show. See moscowdrugclub.com for more about this great band. Friday 2 November. The Vinyl Countdown: Local author Philip Reeve is interviewed by local journalist Sophie Pierce about his favourite music. This is a fundraising event for the SUDEP Action Charity, in memory of Sophie’s son Felix, who died from this condition last year. Saturday 3 November. Ashburton’s inaugural REPAIR CAFE. Don’t throw away that lamp/radio/printer/saw/plane – it might be able to be repaired or sharpened. This is all part of the movement to reduce waste by repairing things rather than sending them to landfill, and using up valuable natural resources in making an unnecessary new thing. More about this here. Sunday 11 November. A Concert for Remembrance. Newton Abbot Orchestra and Plymouth Military Wives Choir. 3.30pm. All proceeds to the Royal British Legion Ashburton. Friday 16 November. 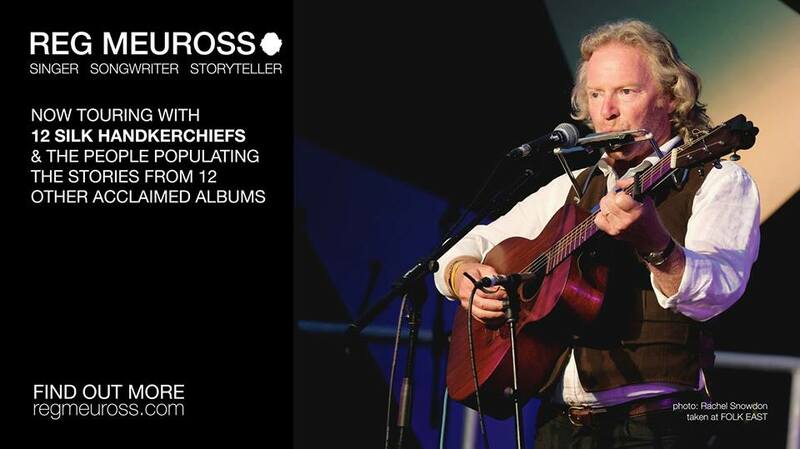 Whitehouse Sessions presents: Reg Meuross with Harbottle & Jonas. Sunday 18 November. Haldon String Quartet. 4pm. Friday 23 November. Malavita! 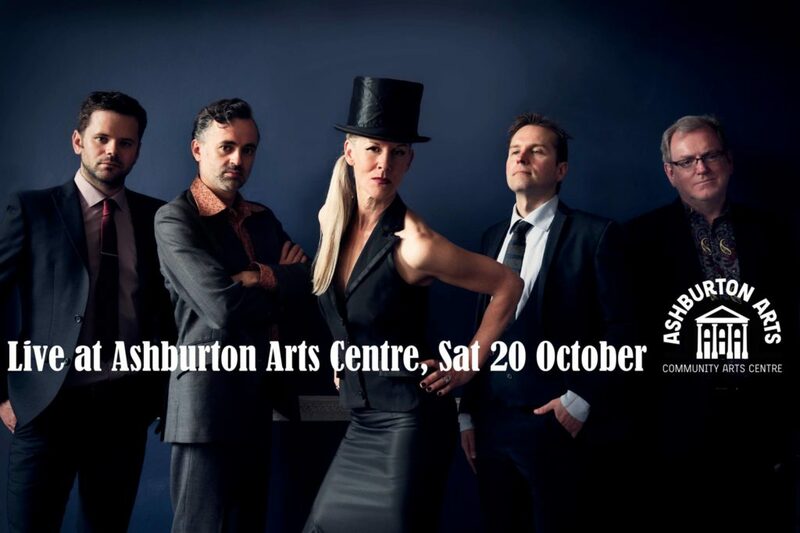 7.30pm This band’s genre-defying sound fuses funky latin beats, heaps of percussion, soaring guitars, skanktastic bass lines, punchy horns and soulful female vocals to create a heady mixture of original, infectious feel good tunes. Eight eclectic, fun-seeking musical misfits originating from Italy, France and the Deep South (West country) come together to inspire you to dance, sing along and lose your inhibitions: they’re collectively on a mission to start the party and keep the dance floor jumping with their festival-strength tropical sounds. 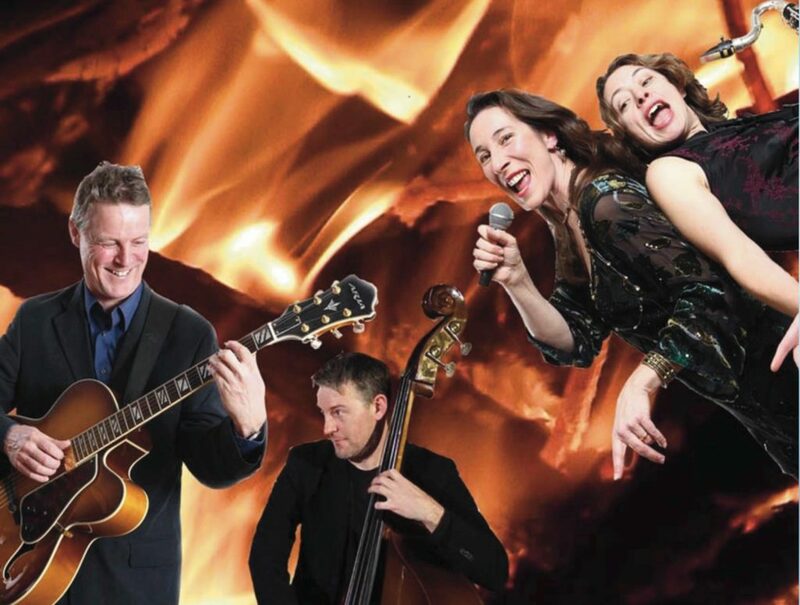 A witty and captivating mix of folk, blues, swing and classical showstoppers, spiced with a unique brand of off-beat humour. Friday 30 November. Film: Warhorse (12/12a). Sunday 2 December. Winter Light Nigel Shaw Carolyn Hillier. 7.30pm. More details here. Monday 3 December. Jean Toussaint Quintet. 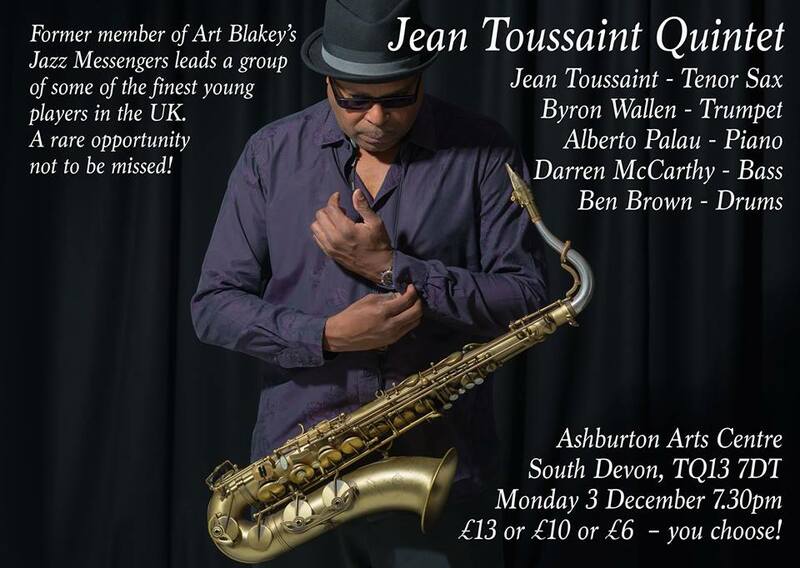 Top UK saxophonist with a superb band on a national tour. Sunday 9 December. Meridianum Ensemble – this large world music group features musicians from the UK (inc Griselda Sanderson and Louis Bingham) and Portugal. Fascinating sounds. See the Meridianum Ensemble website for more about the band. Saturday 15 December: Glorious Chorus. One of the South West’s best-loved choirs led by award-winning Choir Director Helen Yeomans for an evening full of festive favourites & original music. Support is from Kindred Spirit, an interesting young band. 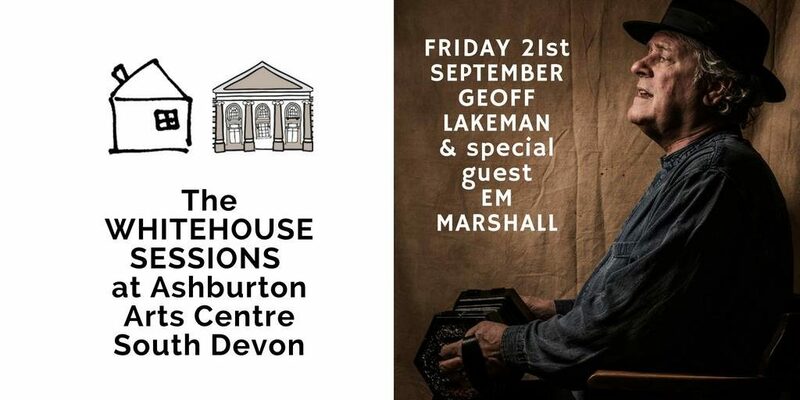 This fundraising Concert is in aid of Totnes Homeless Drop-In Shelter and the Bank Youth Project, Ashburton. Friday 21 December. Soulstice! 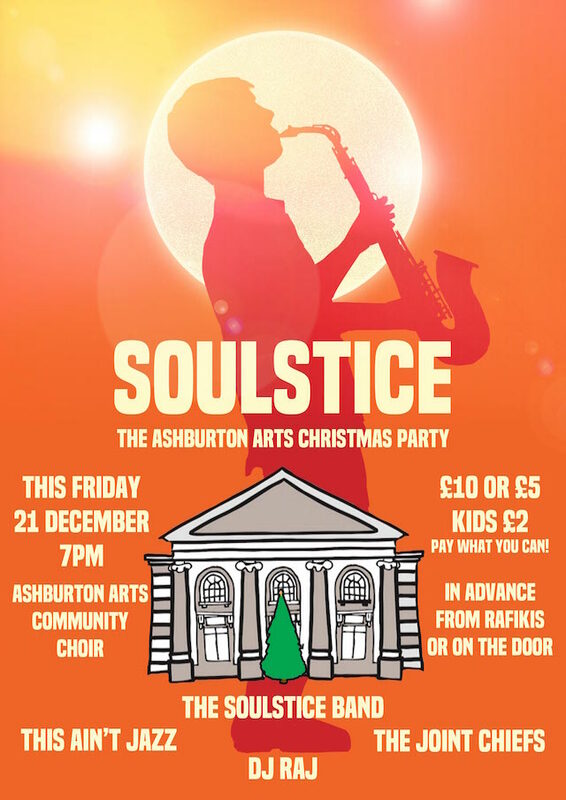 Ashburton Arts Centre’s Christmas Party! Soulful and Funky grooves from some of the top local musical talent, with Ashburton Community Choir! This Ain’t JaZz – three talented Ashburton lads: Ben Quinn on guitar (now studying music in London), Zak Woodfield on sax and Archie Tweedle on bass. Their music mixes jazz with hip hop and loads of other influences. The Joint Chiefs – Rick Worthy (vocals and guitar), Phil Rossiter (vocals and guitar), Emily Veise Smith (vocals) and Joe Gass on bass. A new band, but with years of experience in this bunch of fine musicians. Soulstice Band – with Preston Prince at the core, on drums (he also instigated this whole night); Pete Bingham on bass and Andy Williamson on sax and piano. Our finale concert of the year and our 10th anniversary! Let us kick start your festive holidays with some fantastic Winter songs from around the world and from around the ages! From Medieval to Blues, from Folk to Gospel – a programme packed with atmosphere, character and stunning original arrangements of old songs. Hear those chilly winter winds a blowing, celebrate the howling stormy weather and let us warm you up for a wonderful Yule! We supported Show Of Hands at The Theatre Royal on Nov 11th, for a very special show and have plenty in store for 2019. We sold out last May, so get your tickets early and we will sing our hearts out for you!